At Upstate University Hospital's Community Campus, women are individually cared for at each phase of life – from routine and complex gynecologic care, to preparing for and welcoming the new lives that enter the world each day at the Upstate Family Birth Center. The team of obstetric and gynecological providers offer each woman individualized care in a setting focused on safety and quality. Obstetrical care at Upstate means whole body wellness for both mother and baby. 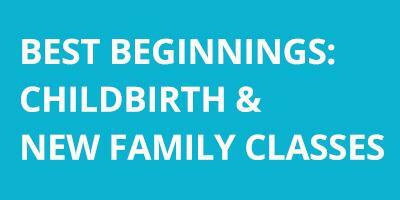 With an emphasis on prenatal care, pregnant mothers are offered Upstate Best Beginnings Childbirth & New Family Classes as well as breastfeeding informational sessions and support. This approach to obstetrics results in healthier mothers, healthier babies and enriched deliveries. The team of providers at the Community Campus work together and provide each new mother the highest level of care 24 hours a day, seven days a week. Gynecology at the Community Campus includes routine care for women as well as the expertise patients need for more complex conditions, including menstrual disorders, endometriosis and cervical dysplasia. Here, women achieve peace of mind as high-quality care is offered from adolescence to maternity and beyond. Last Modified: September 21, 2018. Contact Emily Kulkus with questions about the content of this page.